Find a Beautiful Look for Your Home at a Terrific Price! 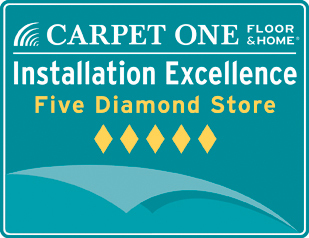 Since 1973, our team at Alexandria Carpet One Floor & Home has prided	itself on providing the most beautiful, long-lasting, and versatile flooring	options to customers in the Alexandria area. One of our main priorities	is ensuring that you can find the perfect fit for your needs at a price	you can afford. With this in mind, we often have specials on some of our	top products and trusted brands to help you create a beautiful look in	your home without busting your budget! Find exactly what you are looking for at a great price. One of our friendly	representatives will be glad to talk with you about the specials that	we are currently offering. Contact us now at (703) 370-0000 and learn more! In stock carpet selections, completely installed with upgraded padding,	furniture moving and take up. Starting at $2.99, $3.99, $4.99 per sq. ft.
Beautiful ¾ inch hardwood (material only) at $3.99 per sq. ft.